Samsung may still be a month away from the scheduled reveal event for its Galaxy S8 on 29 March but it’s been all but unveiled already. 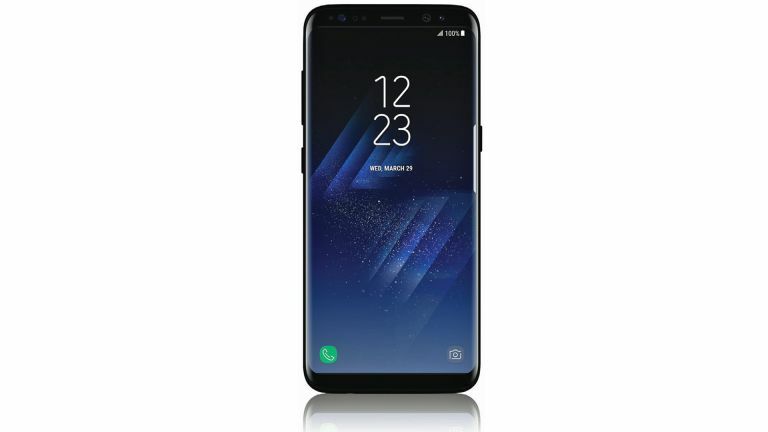 This is the clearest image yet of the phone which appears to be an official shot showing the Galaxy S8 from the front. The image was leaked by @evleaks who is generally reliable plus it looks alike to previously leaked shots. The Samsung Galaxy S8 appears to feature the curved edge that means no bezels on the sides. It also features drastically reduced top and bottom bezel areas thanks to ditching the home button. That leaves a whole lot of screen which is expected to come in 5.7 and 6.2 inch sized Super AMOLED+ displays with up to 4K resolution. The handset is expected to run a Qualcomm Snapdragon octa-core processor with 6GB of RAM, feature a 12-megapixel Dual Pixel camera in the rear and 8-megapixel selfie snapper in the front. The Galaxy S8 should also be IP68 waterproof, pack in 64GB of storage with microSD expansion, feature wireless charging and come with earphones tuned by AKG. Plus, of course, it’ll be running the latest Android 7.0 Nougat operating system. Samsung will no doubt have some other cool software features, like its rumoured artificially intelligent assistant Bixby, but we’ll have to wait until the 29 March official reveal day to know more.